More than ever operators are under the pressure to reduce their spending due to the global economical problems – but the profit expectations will not be lowered. This is the time when telco Risk Management shows its real power as an effective business enabler. In the changing environment more subscribers will misjudge their financial potential, will be more open to try new tricks or even fraud – resulting in much higher loss and bad dept on your side. Your vendors and partners will suffer too and will do really anything to survive. Competition shifts to a new level: new sales will be hard so your best subscribers will be targeted by your competitors with better and better new offerings continuously damaging your churn figures. The hostile economical environment brings much higher risk into your business and due to the decreased employee satisfaction and increased fluctuation the hazard of internal fraud will also grow significantly. On the positive side, introducing proper risk management strategies, processes and systems will help you to ensure favorable funding, proving to your bank and shareholders that you manage your business securely and safely. Your ability to answer the strong push to find every cent ever rolled and lost under the table will also improve and all these findings will immediately count on the profit side. 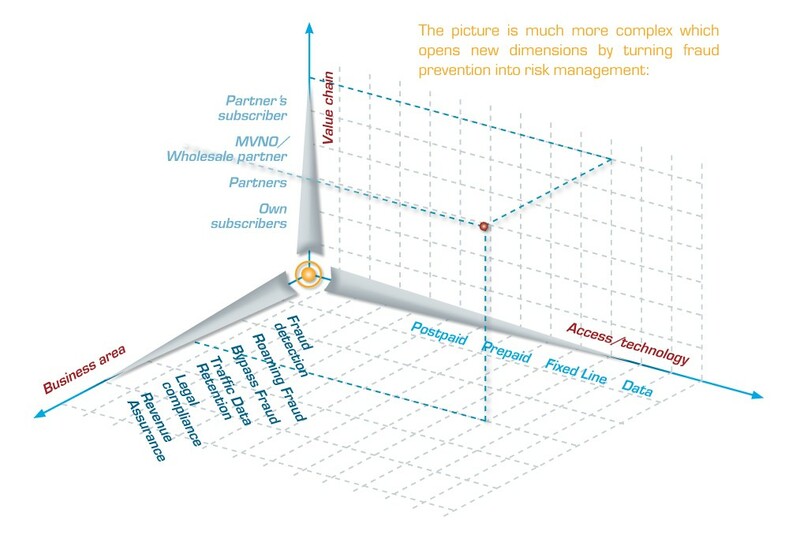 More good news is that the approach to Risk Management is evolving to a new era: from a vendor driven market with isolated functionalities to real business enabler, comprehensive solutions. That is why we built our Allround Risk Management Framework (RMF) 2.0 based on real operator needs incorporating our 20+ years experience, Word Billing Award winning methodologies and innovative products. Allround RMF supports all mobile and fixed-line access technologies, addresses multiple business areas by utilizing all – business process and technical level – synergies, and covers the entire value chain. The feature rich common platform allows cost effective implementation and operation by avoiding redundant procedures; while the modular architecture supports you to opt for the most feasible risk management functionalities with easy further extensions. If you are interested in but have limited budget ask for our Managed Service offering.